2016 - Porsche, Porsche, Porsche! What a year! 2016 brought a lot of surprises. With 12 models, the overall size of the selection wasn't unusual, and the pair of new pullback racers weren't a surprise either. However, the selection of very large models was vast and opened up some previously untapped subjects and sizes. Just look at the size of the models in that picture! 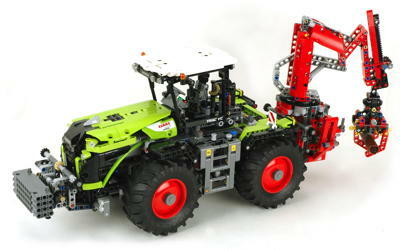 This year included 3 models with Power Functions, 1 more for which PF could be added, and 3 licensed models (Volvo, CLAAS, and Porsche). 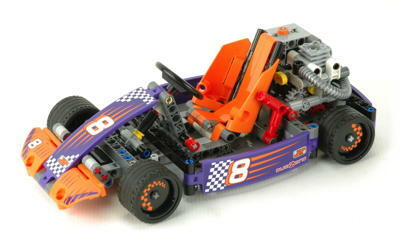 One of the changes for the year was the use of uncommon Technic colors. The models this year included pearl gold, lime green, purple, dark blue, azure, and even orange in quantity. Purple had previously only existed in Competition sets, dark blue had only existed in 41999, and azure had never been seen at all. The huge selection of orange in 42056 was the biggest (pleasant) surprise since this color had only a small parts palette previously. 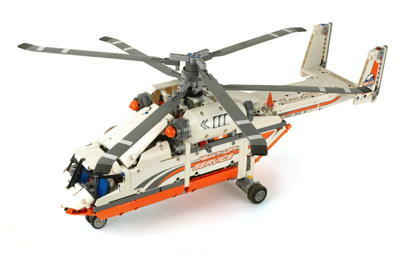 The largest model of the 1st half wave of sets was a huge new coaxial helicopter rivalling the only slightly older 9396. 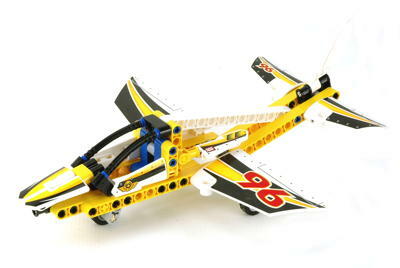 The 2nd half releases consisted of 3 sets all of which had over 1000 pieces. It took until the 8880 supercar in 1994 for the first set to break this magical hurdle, and then until 2011 for 2000 parts to be exceeded. 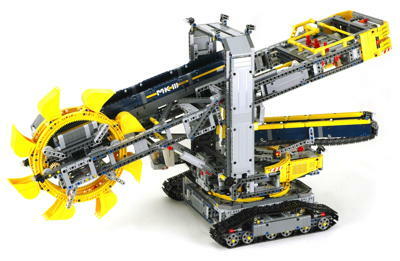 This year the 42055 Bucket Wheel Excavator took the count to almost 4000! The scale and subject of this model were a big surprise. In previous years, any of these models could have been considered a flagship and all are worthy of the title. 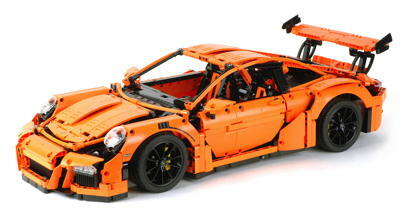 But the biggest surprise of all was the new 42056 Porsche 911 GT3 RS. This 1:8 scale supercar is part of a new mysterious "ultimate" series and was developed in close cooperation with the OEM manufacturer. It includes premium packaging, instructions, and price. New product lines, new licenses, new colors, new massive scale, what else could you ask for? 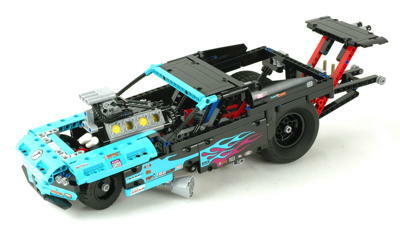 It was also a banner year for new parts, most of which were made for the 42055 BWE and 42056 Porsche. A wide selection of new tires, panels, and specialty parts was introduced. Several new panels were introduced. A shorter 3x7 curved panel (shown in black) was introduced to complement the existing 3x11. An angled panel (shown in blue) makes a good fender or seat. 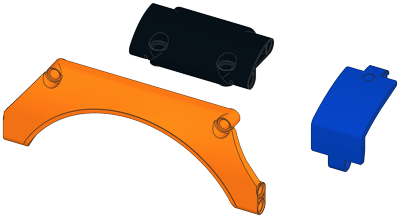 Finally, a purpose made wheel arch (shown in orange) was created especially for the 42056 Porsche and also exists in a printed version with vents. The tires this year were some really big ones! 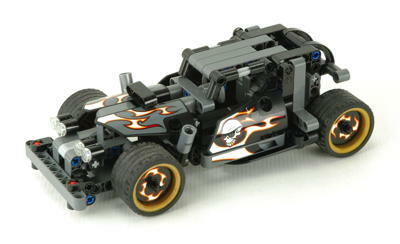 Although the 81.6 x 44R (left) already existed in the Batman Tumbler a couple of years earlier, this year it made it's way to Technic. This tire has an unusual tread and profile very different from other Technic tires. Another brand new tread is the chevron pattern on the new 107 x 44 tractor tires. These tires are truly enormous and rival the legendary Power Puller tires. Both of these tires use existing wheels. 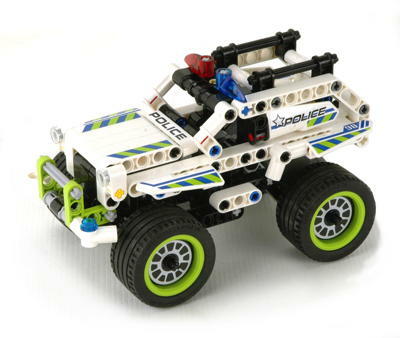 Finally, a unique new set of spoked wheels and 81.6 x 44ZR racing tires were included with the 42056 Porsche. These have the same tread as the tires from 8880 and are the same diameter but wider. 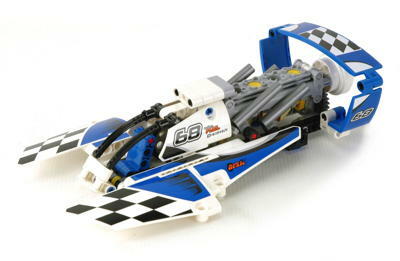 The wheels have a particularly deep dish allowing the steering axis to be within the wheel. Way back in 1977 axles were available in even lengths from 2 to 12. Over the years the odd lengths were added, but it took almost 40 years for the 11L to show up, color coded yellow. There was also a new 3L axle with stop (brown) to complement the existing 4L, 5L, and 8L. 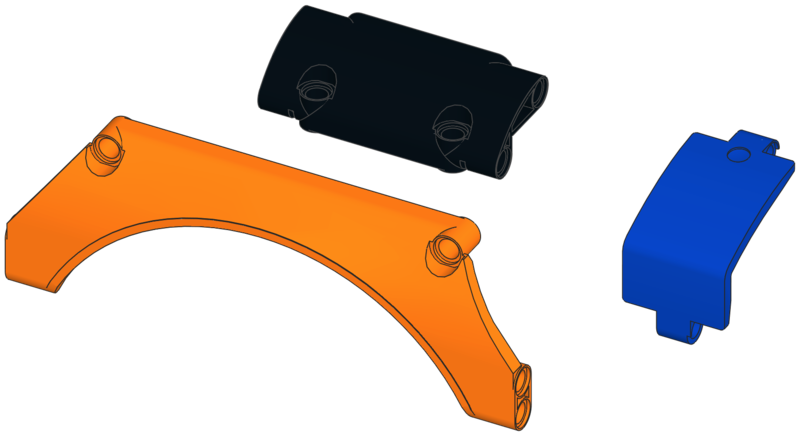 The 3L axle joiner shown in red is a variation of the white version introduced in 2015 for the new transmission driving rings. This version is pinched in the middle so it allows the driving ring to slide smoothly instead of click into place. 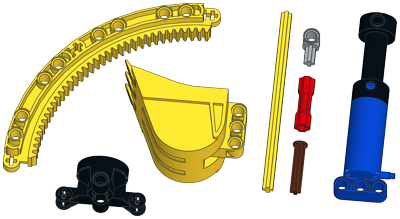 Finally, a small perpendicular axle and pin connector was introduced to round out the selection and match the pin connector from 2015. To complete the line of updated pneumatics, a new manual pump was introduced (shown in blue). The old studded base was retired and replaced with pin holes, and the spring was now protected by a collar. A variant of the steerable wheel hub from 2013 was introduced in black. 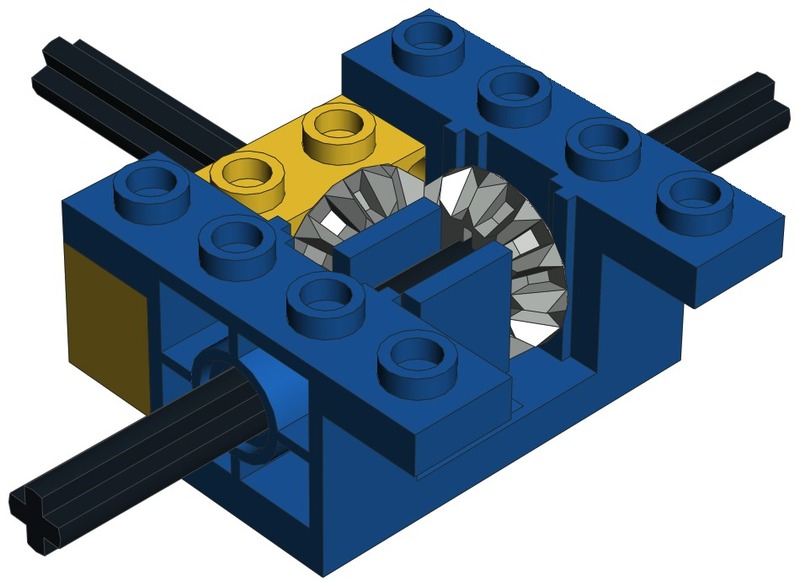 This version lacks the integrated balls joints and instead has axle slots. 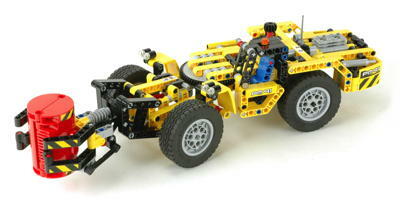 This allowed the use of brick built calipers in 42056. 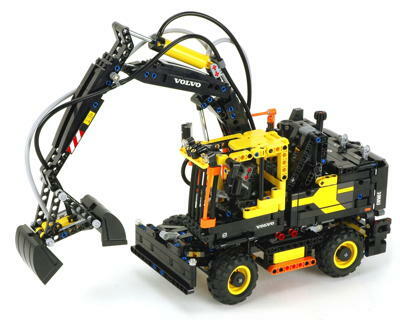 The final pair of parts were included with the 42055 Bucket Wheel Excavator. 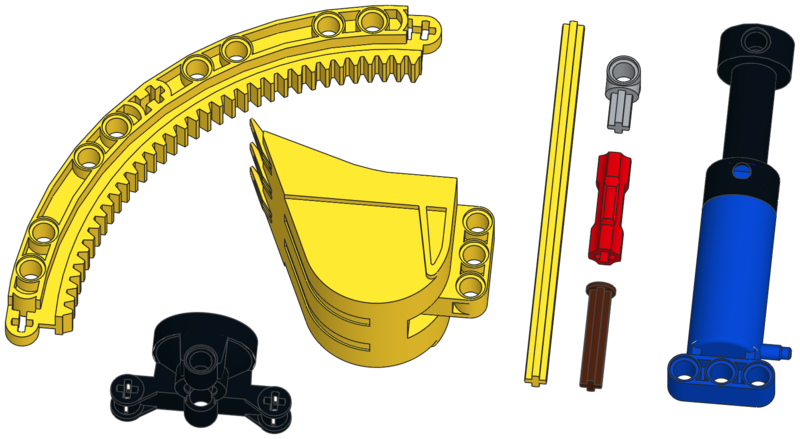 The new bucket does not vary much in size from what was already available, but the rear attach points were required to make the bucket wheel work. Finally, a huge new 90 degree sector and ring gear quadrant was introduced. Four of these make a complete circle with 140 internal teeth. Besides use a gear, this makes a great turntable or slew ring for very heavy loads.